1) Must be a 4th or 5th grader. 3) Must supply your own earphones. 4) Must take very good care of the MP3 device, including making sure it is fully turned off when not in use to save on battery life. 5) Must keep the neck lanyard attached to the Playaway, to help prevent it from getting lost. 6) If a battery dies while you are listening to it, you can bring it to the library for a replacement, or replace it yourself at home but then take your own battery back out before returning it. 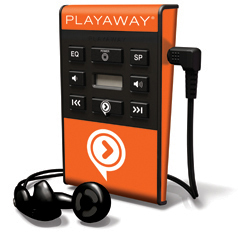 7) Playaway should only be kept for a total of 2 weeks. 8) You may check out only 1 Playaway at a time.